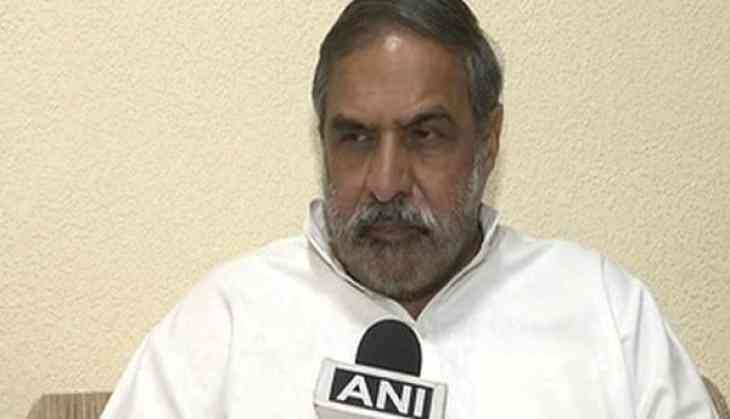 Senior Congress leader Anand Sharma on Friday accused the Centre of treating the Goods and Service Tax (GST) rollout like a 'festival', adding that Prime Minister Narendra Modi was against the Bill when he was in the opposition himself. "The GST was brought in by the Congress. It took us almost seven years to get a consensus on that. It was not possible to implement it at that time because of the revolt towards it. At first, the then Chief Minister of Gujarat, Prime Minister Narendra Modi termed it as against the conduct of the Constitution," Sharma told ANI. Talking about the boycott by the grand old party against the rollout, he added that the Congress helped to bring the GST into action, and was not against it. "Parliament has its traditions. After Independence, only three times a midnight event has been conducted. This is only a tax and there is no need to create a festival out of this. To compare GST with the independence of India and its struggle is saddening. We do not support this," Sharma asserted. The Congress Party yesterday said that it would boycott the midnight meeting, convened by the government, on the implementation of the GST. Besides Congress, the Trinamool Congress (TMC) and the Rashtriya Janata Dal (RJD) have also decided to boycott the event. Ahead of the historic rollout of the GST that is scheduled to take effect from midnight, Union Information and Broadcasting Minister M. Venkaiah Naidu earlier in the day urged the Congress Party to 'realise and rethink' their stand and join the government for the midnight Parliament session. The GST, which is slated to roll out today midnight, will bring the Indian economy under a single tax bracket.